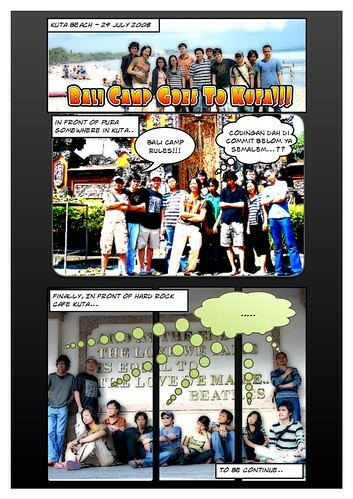 Just tried playing with the software Comic Life by plasq. It’s a really cool software to create comic effects of your pictures collection in just a few minutes. Really cool software, it’s a must for you who get bored with ordinary photos on your blog or social network websites. Here I upload my first comic life result. It’s composed of three pictures when me and my work colleagues in Bali Camp went to Kuta last month. How Do I Sleep In The Office? just out of curiosity, is this a freeware? it’s not a freeware, but you can try it first..